Home » Is it worthwhile scaring geese? Is it worthwhile scaring geese? Scaring geese away from vulnerable crops has been widely used to alleviate agricultural damage. However, the effectiveness of active scaring by humans has to date been undocumented. A study has been published, in the Journal of Applied Ecology that presents, for first time, the relationship between active scaring and consequent effects on goose behaviour and field usage, having applied an experimental dose–response framework. 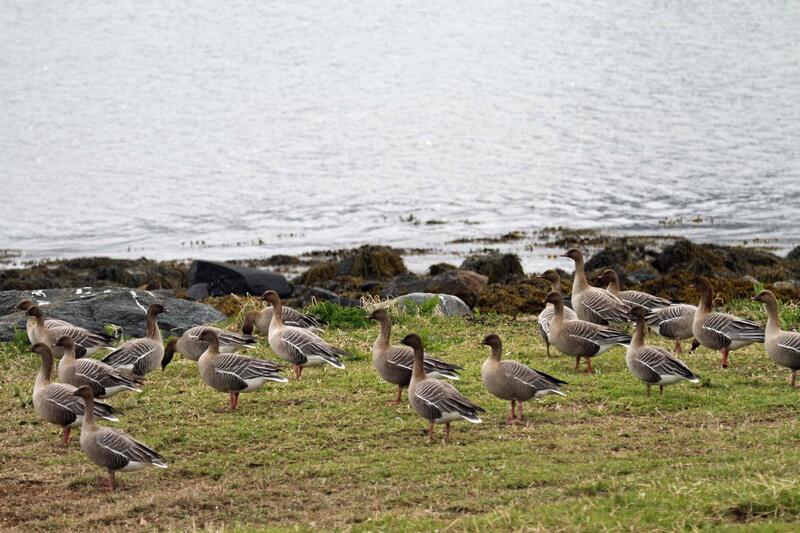 This study is the first to show a dose–response relationship between active scaring and field use of flocking geese. For individual farmers, the study provides guidance on the level of scaring effort needed to be cost-effective. In addition, the study illustrates how systematic and persistent active scaring, when implemented as part of a management scheme with subsidy/accommodation areas, can be used as a tool to keep geese away from areas where they are not wanted, thereby assisting in the alleviation of goose–agriculture conflicts. For more details please see the Publications section of this website.